ReedPOP, the world's leading producer of pop culture events is bringing BookCon back to New York City for its fourth edition. The acclaimed consumer book event will take place on June 3 & 4, 2017 at the Javits Center. Headlined by bestselling Authors and the world's hottest Hollywood talent, BookCon will once again bring books to life through a series of Panels, Screenings, Author Q&As, Autographing sessions and more. Tickets for BookCon 2017 will go on sale November 16 at 12:00 PM EST. 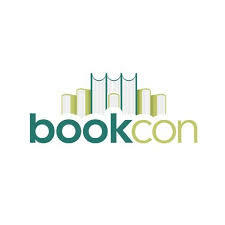 The initial Guest list for BookCon includes #1 internationally bestselling Author Dan Brown (The Da Vinci Code and forthcoming novel Origin) who will discuss his chart-topping works. Young Adult mega-sellers have joined the initial lineup as well, including Cassandra Clare (The Mortal Instruments Series) to discuss her most recent release Lord of Shadows, Book 2 in The Dark Artifices Series, Danielle Paige (Dorothy Must Die Series) who will be onsite promoting the paperback release of her hit novel Stealing Snow and Shannon Hale (Princess Academy) promoting her first graphic novel, Real Friends. Marissa Meyer (Heartless), Morgan Matson (Since You've Been Gone) and Jenny Han (To All the Boys I've Loved Before) will be at BookCon as well to talk about their new novels and meet Fans. This is only the beginning of the lineup for BookCon 2017 and ReedPOP will continue to add and announce Guests and content up until the Show. BookCon is designed to appeal to the modern-day book lover with an appreciation for broader pop culture and where these worlds intersect. BookCon will feature a vibrant Show Floor with the world's most influential publishers including ABRAMS, Chronicle Books, Hachette Book Group, HarperCollins, Macmillan Publishers, Penguin Random House, Simon & Schuster and many more. In addition to over 250 Exhibitors, the Show Floor will house the Downtown Stage, home to innovative content like Q&As, Trivia and Illustrator events. New for 2017, BookCon will feature a designated space within the Show to highlight children's books through meaningful installations and interactive activities called Family HQ. "BookCon has evolved into the ultimate storytelling destination and a unique place for Fans to get access to their favorite Authors, books, films and television series. Each year the event generates even greater excitement and engagement and we are looking forward to delivering our biggest Show yet in June," said Brien McDonald, BookCon Event Director. 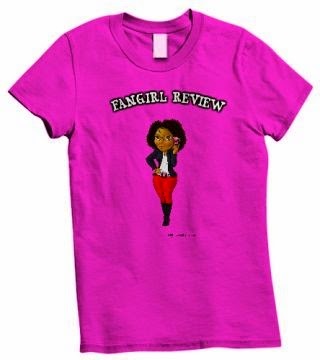 Previously, BookCon has included a star-studded roster of bestselling Authors and Celebrities including John Green, Amy Poehler, Mindy Kaling, Aziz Ansari, Meg Cabot and Academy Award winner Brie Larson in addition to hundreds of Exhibitors. BookCon is the consumer extension of BookExpo, North America's largest gathering of book industry professionals from around the globe. It is the ultimate fan event where storytelling and pop culture collide - offering fans unprecedented access to authors, publishers, celebrities and creators of content that influence everything we read, hear and see. Tickets for BookCon will be available on November 16 at TheBookCon.com. Additional exciting details about BookCon Exhibitors, Guests and sponsors will be revealed in the coming weeks. For more information and to purchase Tickets, please visit TheBookCon.com or BookCon's social media pages (Facebook, Twitter and Instagram).